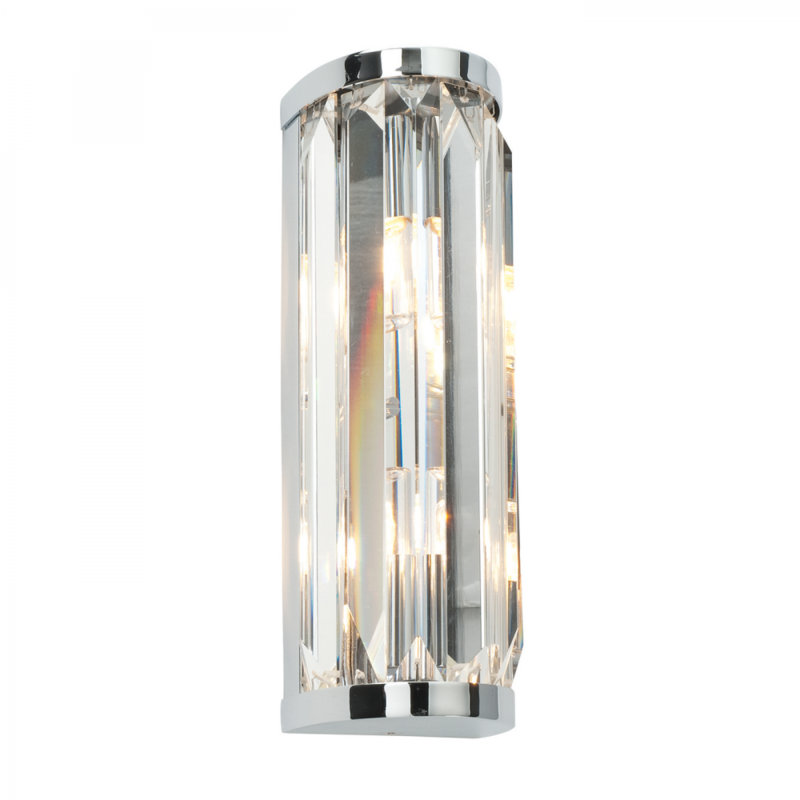 Exquisite, glamorous and chic the product wall light is the perfect choice for the luxury bathroom. Matching items available. 7.5cm projection x 26cm height x 8.5cm width. Bulb information: 2 x 18W G9 clear capsule - not included.